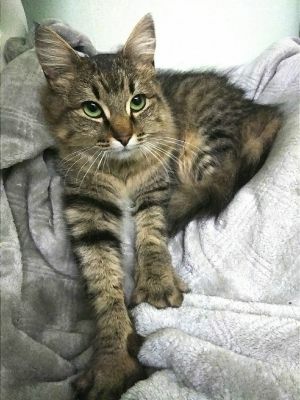 Marco was found at an feral cat colony with an leg injury. He's all healed now and looking for his new forever home. Marco is very, very sweet and loving and loves to be loved on. He is very affectionate and loves to be around people. 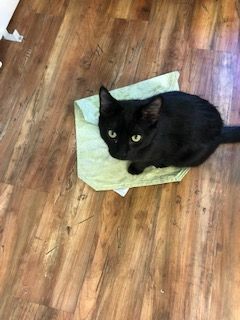 He's the kind of cat who would sleep with you, he's just very laidback and docile.Marco is an little less than an year old, and it's apparent he had an owner at one point. Unfortunately nobody has ever claimed him as their cat. So sad, cause he would make an awesome family cat for somebody. Marco would be an great companion paired up with an kitten or another cat roughly his age. He has a lot of energy built up and loves to play with younger cats. Older cats don't have much of an tolerance level for him. If you would like more info on Marco, please contact eoerescue@yahoo.com or 209-915-0079. Have pics as well, just not able to download on petfinder. Sebastian is just such an sweetheart! He loves to weave in and out of your legs and he is very, very curious! 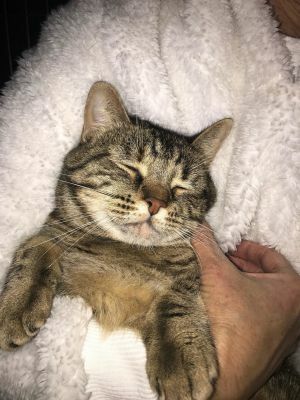 He is one of the most affectionate cats I have seen in a while, and he would make an great family cat! 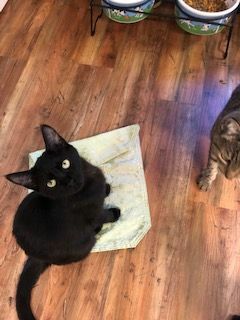 Sebastian is an total lovebug, and if you are looking for an sweet loving affectionate boy he's the perfect cat for you. If you would like more info on Sebastian please contact Aimee at 209-915-0079 or email eoerescue@yahoo.com. IF you would like to see pics of Sebastian please contact us. 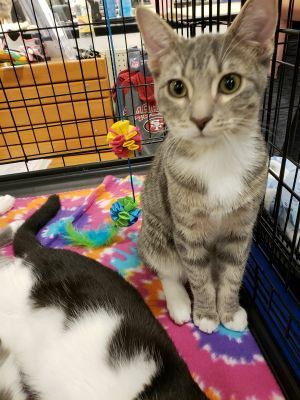 Not able to download pics on petfinder. 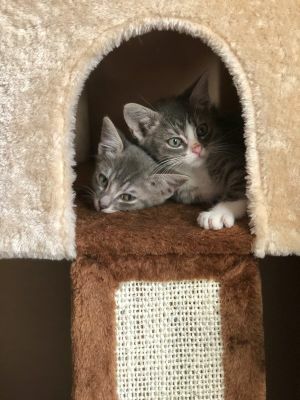 Meet Eddie, his brothers and sisters were taken in and fostered from a garage where mom brought them to when they were still little. Mom took very good care of them so they are all very healthy and growing fast. Eddie is a playful guy but also very mellow and goofy. He tends to go off on his own for a nap but likes to be social as well and he likes toys, especially soft ones like a fuzzy ball with a rattle or bell inside. He has his first round of shots and will be getting neutered very soon as well. Est DOB:11/1/10. Teddy is the sweetest and loving boy. He is a talkative boy. He loves to get your attention by touching your face with his paw. He loves to give hugs and is super affectionate. He loves to be brushed. He has not been around young children or dogs so that may be a challenge for him. Teddy will be at the Tracy Petsmart Feb25th through March 9th. He is neutered,current on his vaccines, dewormed, and microchipped. If you have any questions or would like to meet this amazing man call Aimee at 209-915-0079 or email eoerescue@yahoo.com. *Teddy,Raider,and Mickey are brothers. 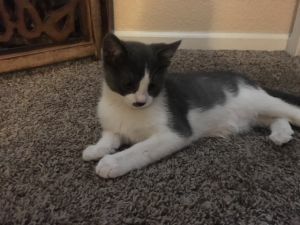 If you would like to submit an application for your interest in Teddy or one of his siblings, please go to our website at eoerescue.org and click on the adoption's tab. Est date of birth: 11/1/10 Raider is very affectionate and loving. Raider likes being held and loves to be brushed and petted. He would do best in a home without small children or dogs. He has been neutered, up to date on vaccines, dewormed and microchipped. If you have any questions call Aimee at 209-915-0079 or email eoerescue@yahoo.com. Raider will be at the Tracy Petsmart starting Feb 25th through March 9th. *Raider, Teddy, and Mickey are siblings. Est date of birth: 11/1/10.. Mickey oh Mickey your so sweet !!!!!! He is an amazing man that loves the love and he is super friendly and affectionate. Mickey is a big talker and loves to be brushed and petted. He hasn't been around small children and dogs so it would be best to have a home without small children or dogs. Mickey will be at the Tracy Petsmart on Feb 25th to March 9th. If you have any questions or would like to meet this amazing man call Aimee at 209-915-0079 or email eoerescue@yahoo.com. 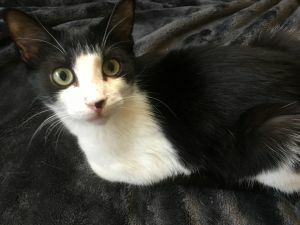 You can also put in an application for your interest in Mickey at eoerescue.org under the adoption's tab. Mickey is neutered, up to date on vaccines, microchipped and dewormed. *Mickey, Teddy & Raider are siblings. 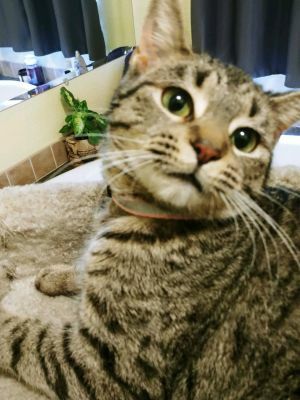 Est dob: 5/1/17 Sweet little JD was a stray in Tracy as a young kitten. JD is a lover. He loves to snuggle right by you if you have the time. He does excellent with other kitties and does not seem to fear dogs. If you are interested in this sweet little boy, please put in an application on our website at : eoerescue.org. If you would like more info on JD, please email us at eoerescue@yahoo.com or call 925-980-3035. Adoption fee is $75. JD has had all of hisr kitten vaccines for the year. He is dewormed, neutered and microchipped as well.